A Homemade Granola Recipe That’s Lip Smackin’ Good! This granola is great paired with milk, as part of a Greek yogurt parfait, or plain as an on-the-go snack. Better yet, this granola contains less fat and sugar than many store-bought brands and is super easy to make! Oats offer up way more than fiber – they also are suspected of having strong anti-microbial properties and also contain a ton of antioxidants! Paired with dark chocolate (at least 70% cocoa) and raspberries, this snack is full of compounds that reduce oxidative stress! Grab a handful after a workout and neutralize potentially harmful free radicals while fueling up with carbs and protein! 2. Combine wet ingredients (water, honey, oil, vanilla extract) in medium bowl. 3. Add rolled oats to bowl and mix into wet ingredients with hands. 4. Place parchment paper (or aluminum foil) on baking sheet. Pour contents from bowl onto parchment paper and spread into thin, even layer. 5. Place baking sheet in oven and bake approximately 45 minutes. Stir ingredients every 10-15 minutes. 6. Remove baking sheet from oven. Add almonds and mix ingredients. Spread into thin, even layer. Place back in oven for 20-25 minutes. 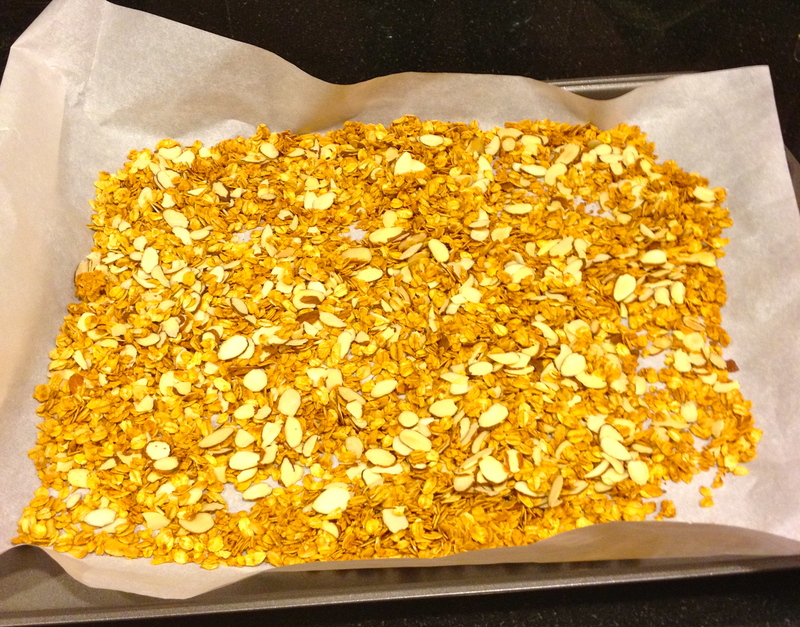 7.Remove baking sheet from oven and allow granola to cool (about 15 minutes). Transfer contents into large bowl, Tupperware or plastic bag. Add dried raspberries. 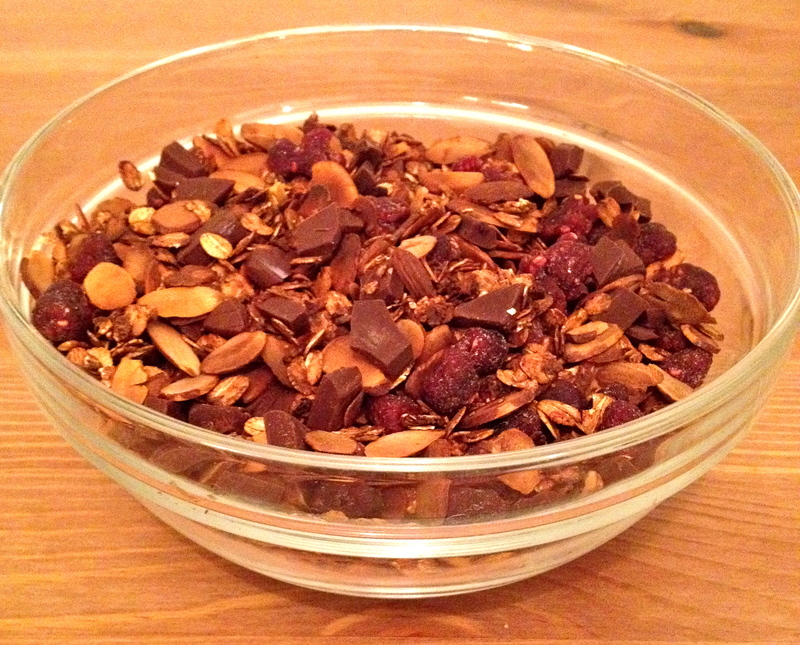 Break chocolate into small pieces and add to granola. Serve or store (granola should last approximately 2-3 weeks, if stored properly). Spice Up Your Dinner – Dig Into These Shrimp Fajitas! 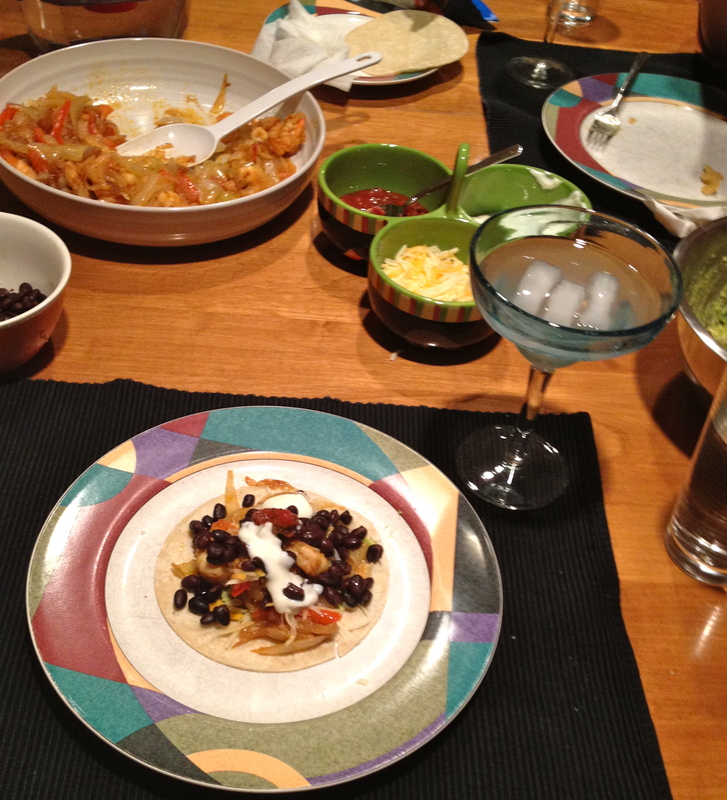 Craving Mexican food? Have no fear! These tasty shrimp fajitas are spicy, full of flavor and under 500 calories! Packed with protein and fiber, these fajitas will fill you up with good nutrition to fuel your body right! Serve with homemade guacamole and a skinny margarita for a truly indulgent fiesta! 1. 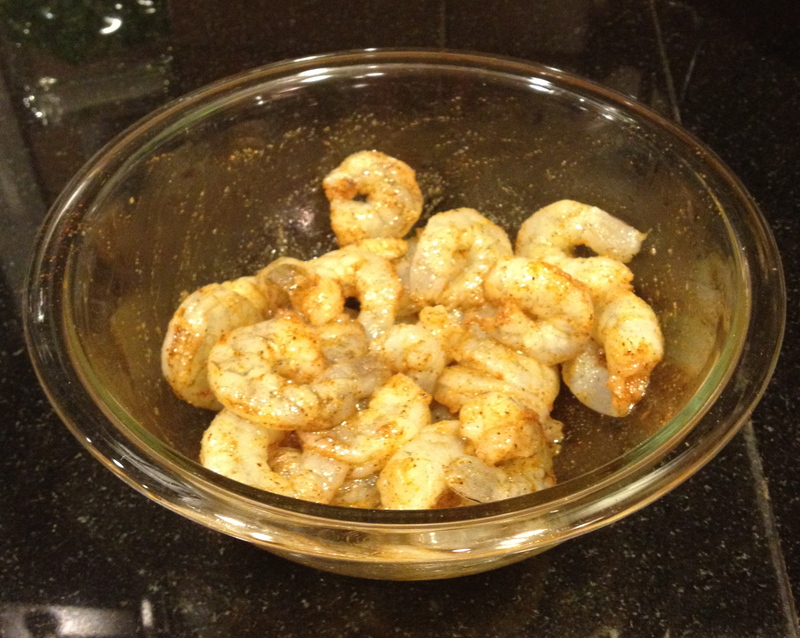 Combine shrimp and 1.5 Tbsp olive oil in medium sized bowl with 1/4 tsp cumin, 1/4 tsp chili powder, 1/8 tsp chipotle. Set aside. 2. Heat one large skillet with remaining olive oil (1.5 Tbsp) over medium heat. Slice onion and add to heated skillet. 3. Wash red bell pepper and remove seeds. Slice lengthwise and add strips to skillet with onion. Add remaining spices (1/4 tsp cumin, 1/4 tsp chili powder, 1/4 tsp garlic powder). 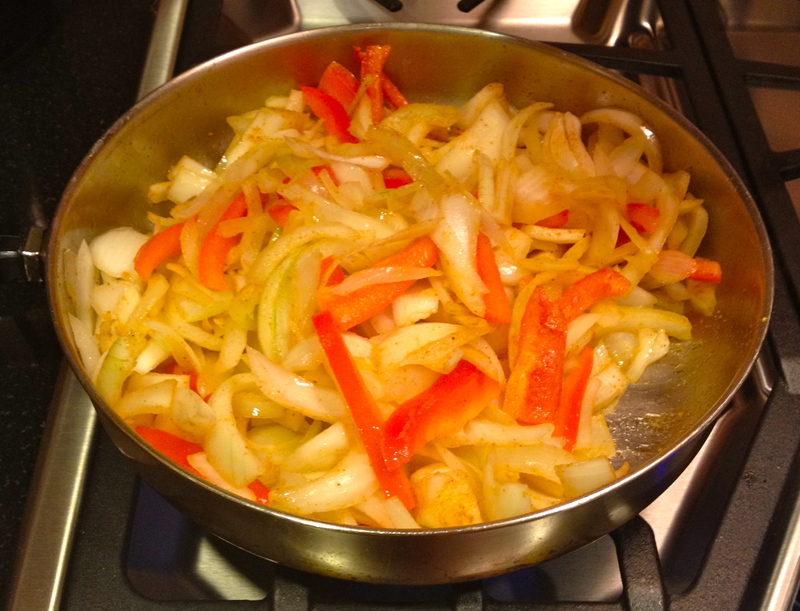 Cook until onion is translucent and soft and pepper is tender, approximately 10 minutes. Mix occasionally. 4. Heat medium sized skillet over medium heat. Add shrimp. Cook approximately 3 minutes on each side, until shrimp is no longer translucent. 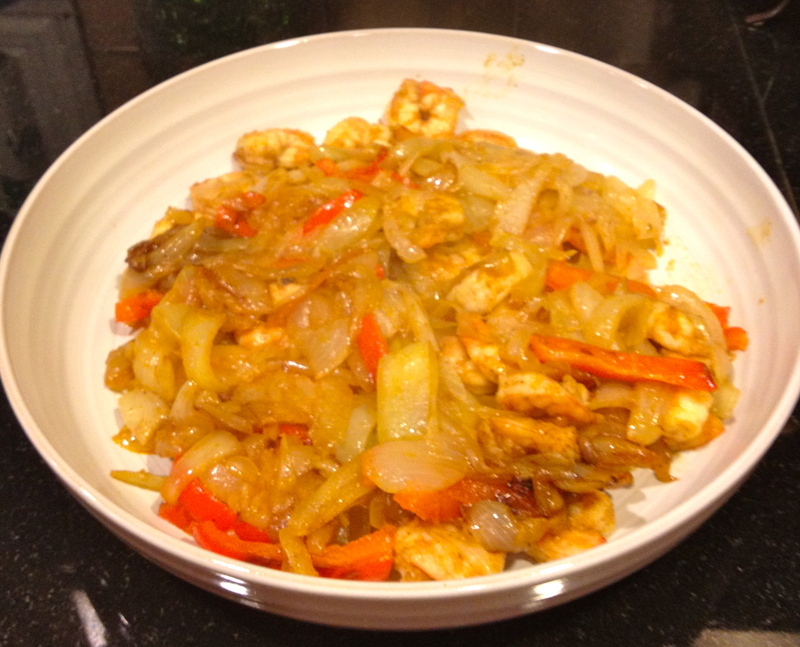 Once cooked, combine shrimp in large skillet with onion and pepper. Transfer contents of skillet into large serving bowl. 5. Heat tortillas in microwave until warm, approximately 45 seconds. 6. Heat black beans in microwave until warm, approximately 1 minute. 7. Create your fajita! 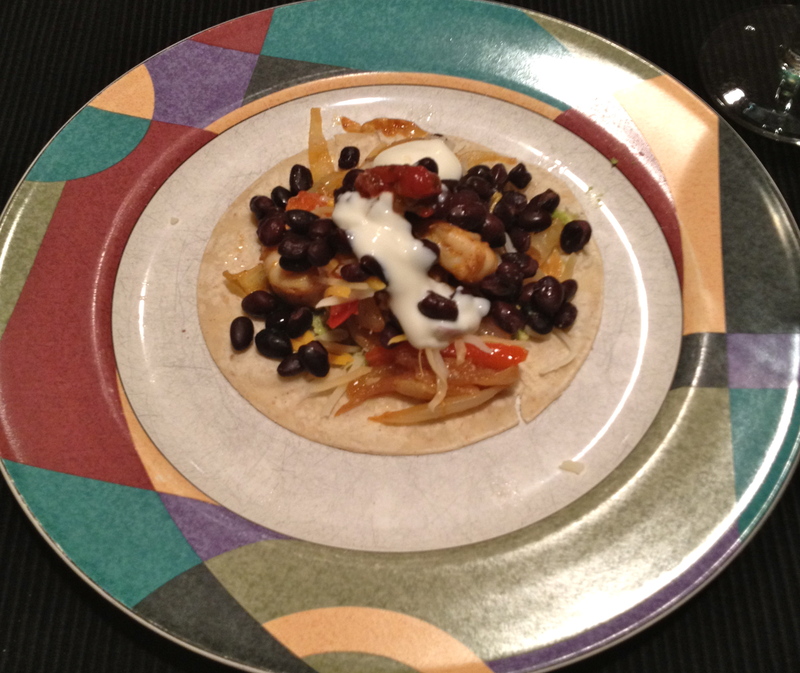 Serve one tortilla with approximately half of the fajita contents. Eat any contents that do not fit in the tortilla with a fork, or make a second tortilla! *one serving is one tortilla and half of the ingredients listed above. 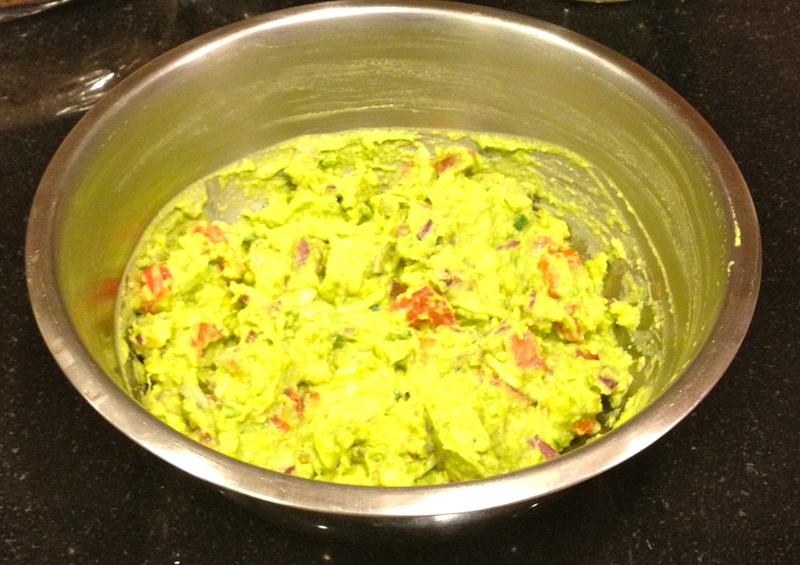 Add Your Own Guacamole With This Simple Recipe! Fishing Around For A New Dinner Idea? Try This Fresh Catch! Fuel up with this healthy fish dish – filled with protein and parmesan crusted goodness! Whole wheat breadcrumbs add more fiber than traditional breadcrumbs, while also offering a satisfying crunch! Halibut, sea bass and other similar fish offer a ton of protein for few calories, which helps to keep you feeling full -nothing fishy about this healthy dish! Serve with a veggie side dish, such as oven roasted asparagus, to round out the meal and fuel up with fiber, protein and healthy fats! 2. 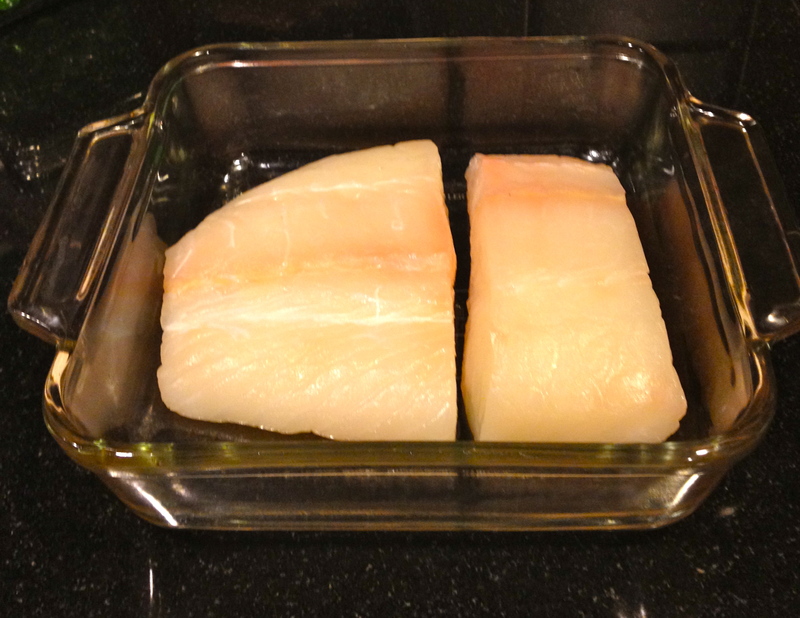 Place fish in casserole dish. Drizzle olive oil over fish. 3. Combine breadcrumbs, garlic powder, black pepper and paprika in small bowl. 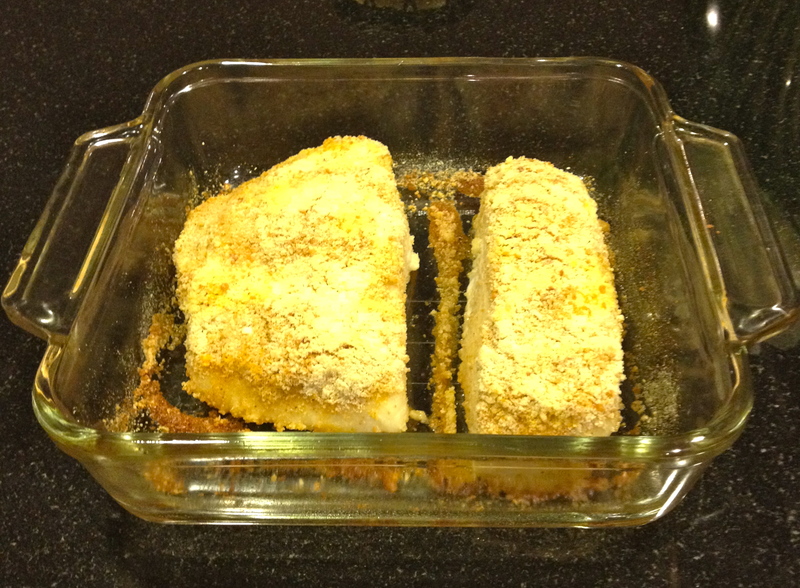 Cover fish with seasoned breadcrumbs. 4. 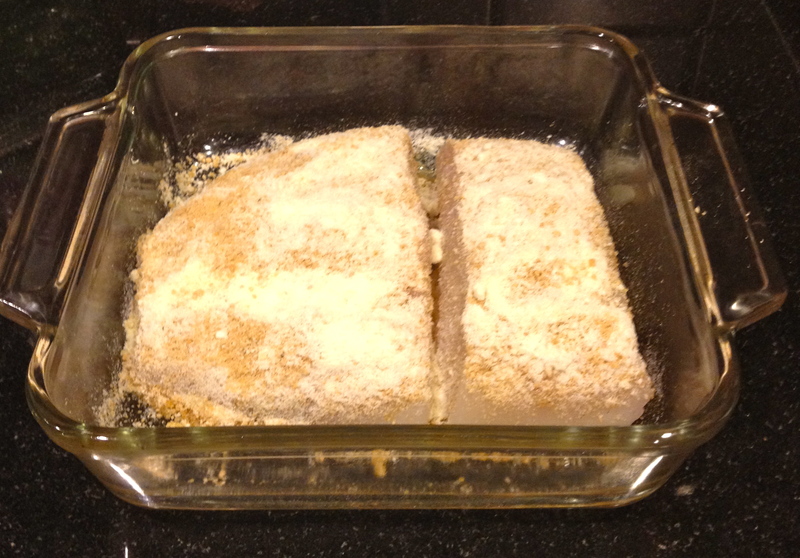 Sprinkle parmesan cheese over fish. 5. Bake in oven until cooked through – about 25-30 minutes. Fish should reach an internal temperature of 165 degrees and should be flakey. Serve hot.